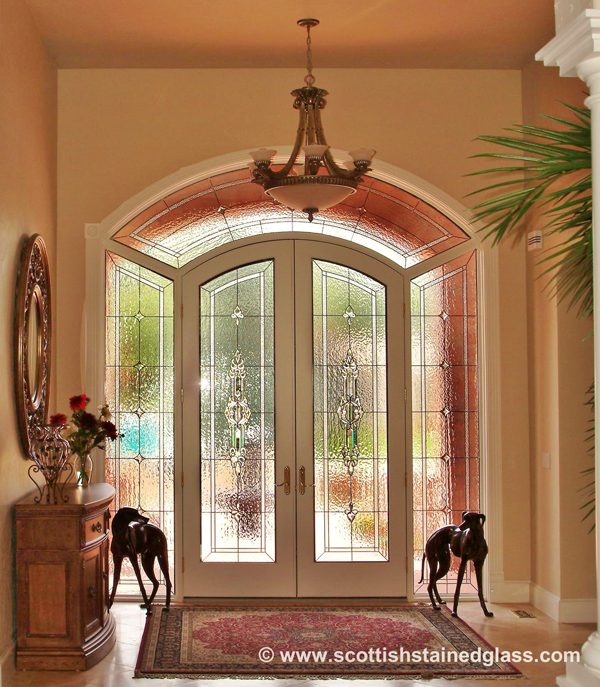 Creating a beautiful entryway gives visitors a great first impression, not to mention the fantastic curb appeal that an eye-catching entryway will create. 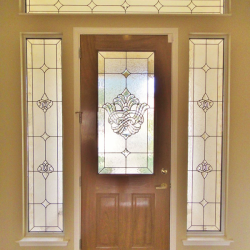 While many homes today have several windows in the entryway, adding custom glasswork to this area will take your home to the next level in terms of design and an upscale feel. 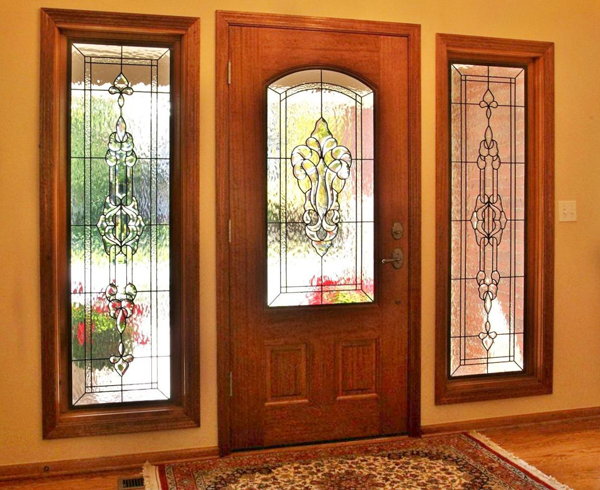 Entryway windows are relatively common, especially in newer homes throughout the Kansas City area. 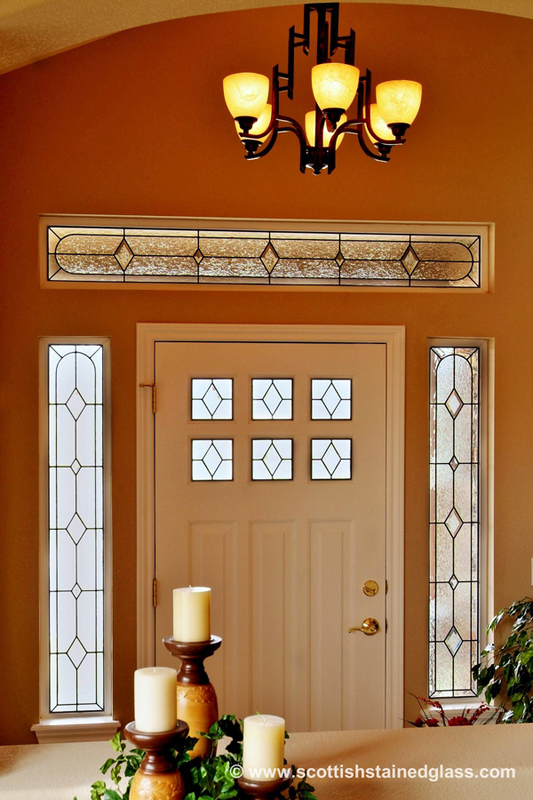 A full entryway would consist of sidelight windows, transoms, and door glass, all letting in a great deal of natural light. 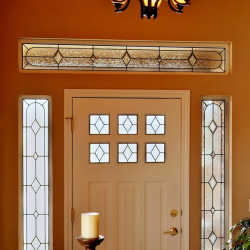 While the light is great, you may have also noticed that visitors can see straight through these windows into your home, making privacy an issue. 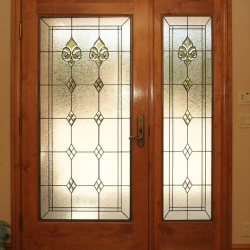 Don’t sacrifice your natural light for privacy when you can have the best of both worlds with custom stained glass windows. 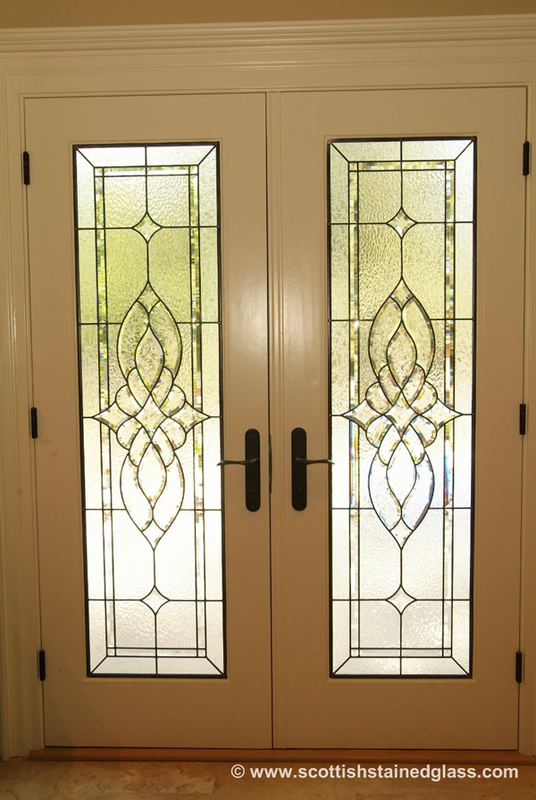 By using any combination of textured glass, bevels, and even colors, you can create a private entryway that still allows sunlight to pass through! 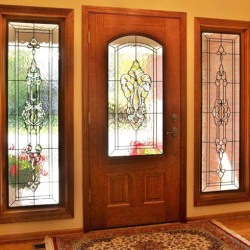 Plus, you’ll be selected a design that suits your home beautifully, and creating a stunning look and feel for your entryway at the same time! 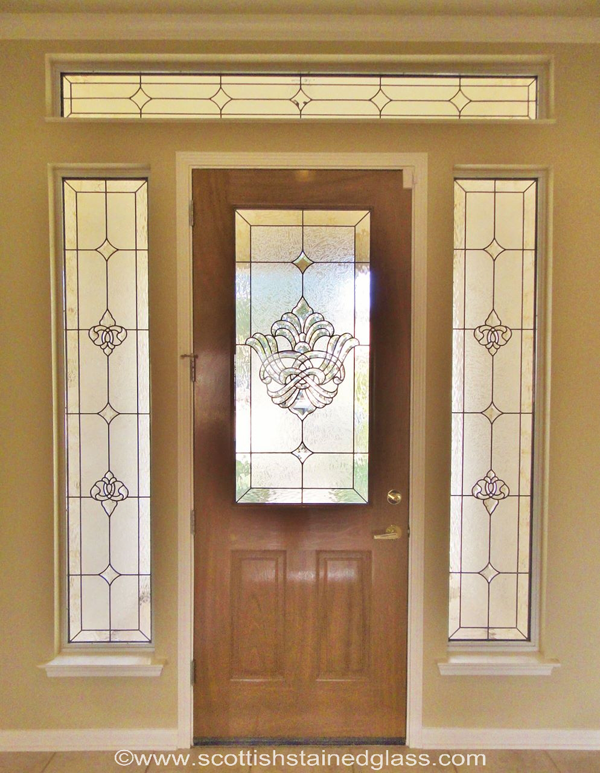 With Kansas City Stained Glass, each window that we create is completely custom. 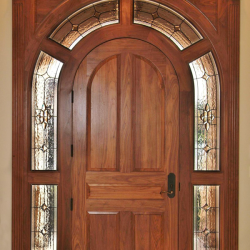 This means that if you’ve got oddly sized or shaped transoms or sidelight windows, we can still create the perfect additions! 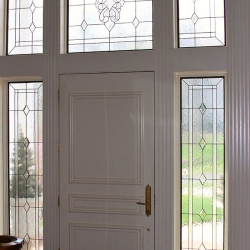 In fact, there are very few limitations in terms of overall design as well, making the possibilities endless. 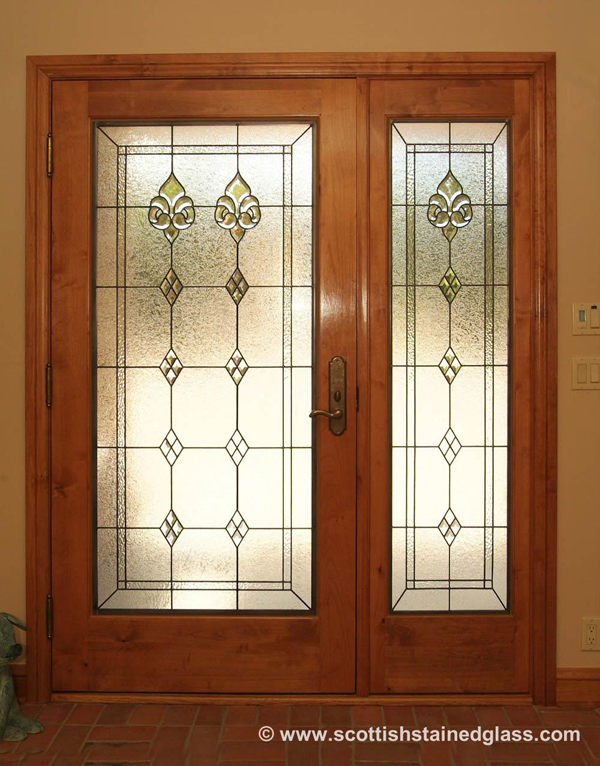 Our process begins with an in-home consultation with one of our skillful designers. 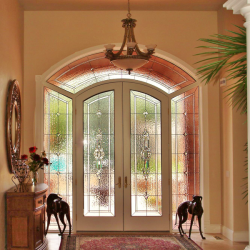 Your designer will take the time to go over several options for your entryway, and will learn more about what is most important to you for this project. 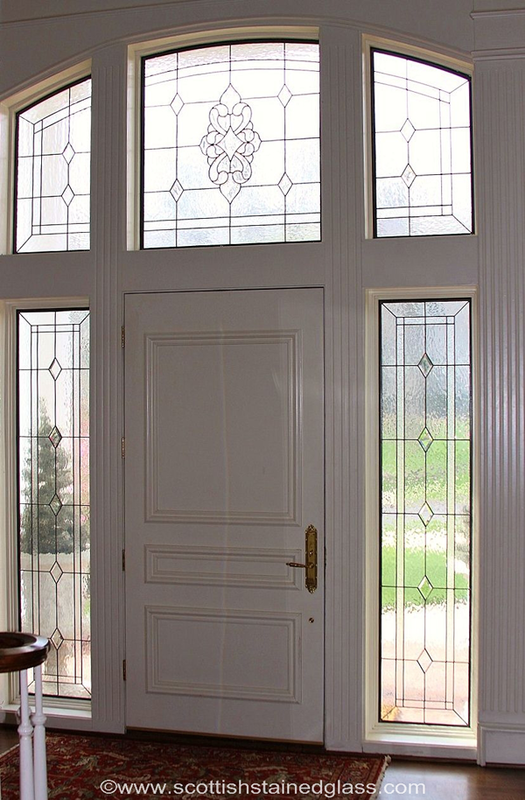 We always bring hundreds of glass samples and photos to help you make the best decision for your home. 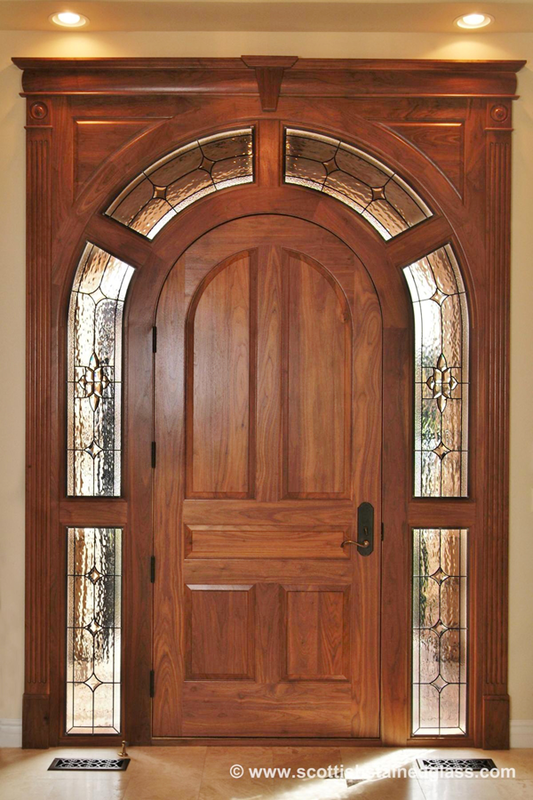 No matter what style you choose, you can count on a stunning, high-quality addition to your home. 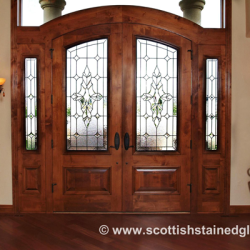 Kansas City Stained Glass is a part of the largest stained glass studio in the country, and our team has designed and installed more than 40,000 windows in our over 20 years in business. 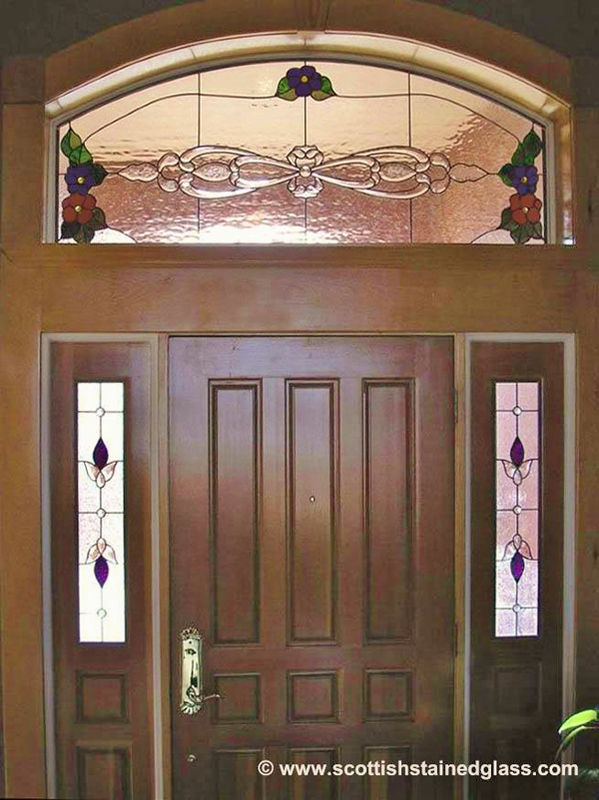 We use only the best methods to create authentic, beautiful glasswork for each and every client! 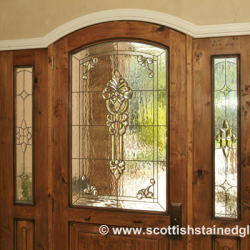 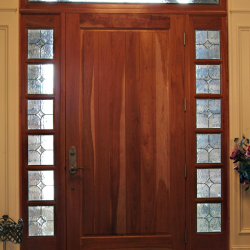 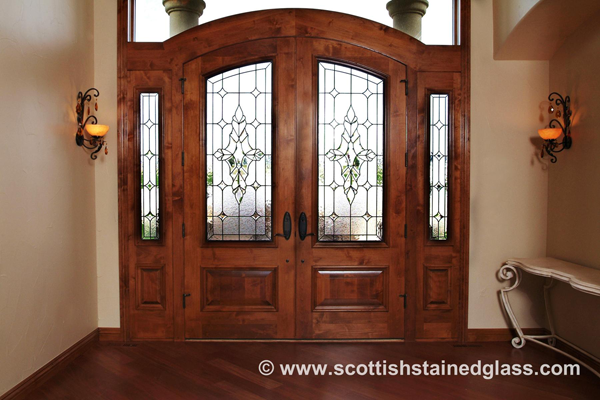 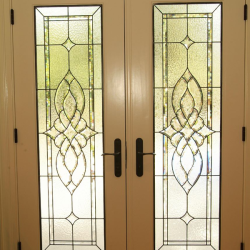 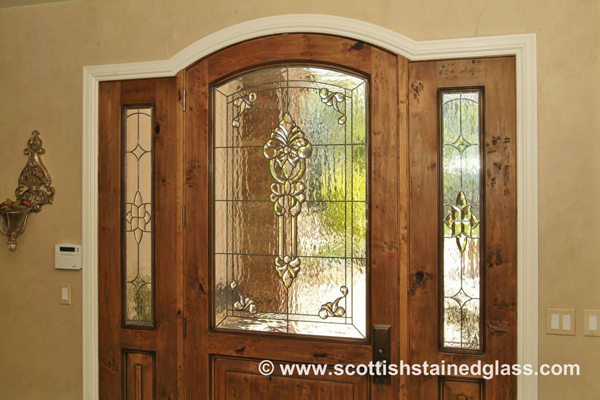 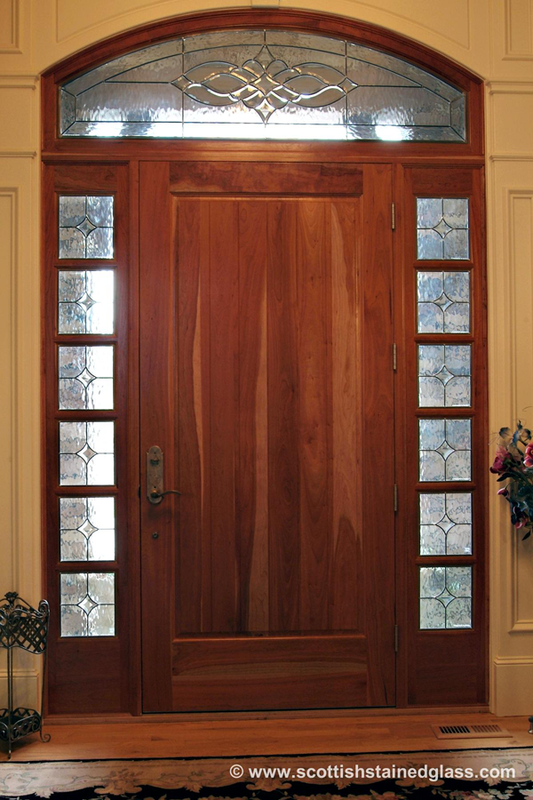 If you have any questions about getting stained glass in your entryway, or if you’d like to begin the process, don’t hesitate to contact us today via phone or email. 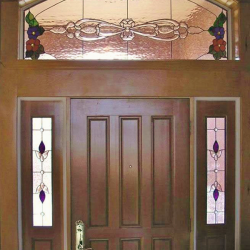 We can’t wait to get started on building the entryway that you always dreamed of!